Do You Have The Right EHR? 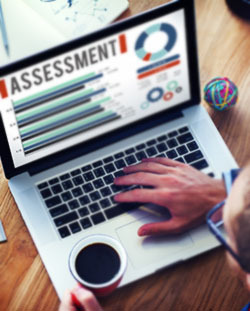 Evaluate your “EHR fit” by taking the OPEN MINDS Strategic Technology Assessment. Brought to you by Credible Behavioral Health Software. Having a robust electronic health record (EHR) and strategic technology plan is a necessity to any behavioral health care provider. EHRs have many functions and uses including collecting clinical data to track outcomes, giving staff a mobile option, and predicting financial sustainability. But how do you know if your technology is in line with your overall strategic goals and able to support new payment models and business growth? What functionality are you specifically looking for, and is your current EHR addressing that need? The OPEN MINDS Strategic Technology Assessment – brought to you for free by Credible – can help you determine how ready you are to enhance your technology, address new functionality requirements and clearly identify your specific EHR needs. Take The OPEN MINDS Strategic Technology Assessment Now! Credible Behavioral Health Software provides secure, proven, easy to use software for clinic, community, residential, and mobile care providers across the United States. Credible’s commitment to innovation, ease of use and optimization runs throughout our company and our software. Fully integrated and seamless, Credible provides clinical, scheduling, billing, form management, eRx, eLabs, mobile/field, reporting and business intelligence modules. Credible is a leading innovator in web and mobile solutions for behavioral health. Founded in June 2000, Credible is based in Bethesda, Maryland and services care providers throughout the United States. Since 2000, Credible has provided software solutions for Behavioral Healthcare and other Human Service providers. Credible is proud to provide solutions for wide spectrum of behavioral health services including Youth, Residential, Adult, Community-based, Crisis, Forensic, Mental Health Court, Clinic, ACT and wrap-around services.